A "Glee" Filled Visit With Darren Criss! https://youtu.be/elI_5KJ0IAU The end of June brought a big visit to Seacrest Studios at Children's Healthcare of Atlanta! Darren Criss, most notable as Blaine from Fox’s hit series “Glee”, came to chat with patients, play a fun game, and take pictures and sign autographs. Darren is actually touring alongside fellow “Glee” cast member Lea Michele – the pair performed at Cobb Energy Performing Arts Center following his visit at Seacrest Studios! One special patient, Sarah, played Jimmy Fallon’s “Whisper Challenge” with Darren. Hi wore headphones, listening to really loud music, while she mouthed Disney quotes, and he had to guess what she was saying. 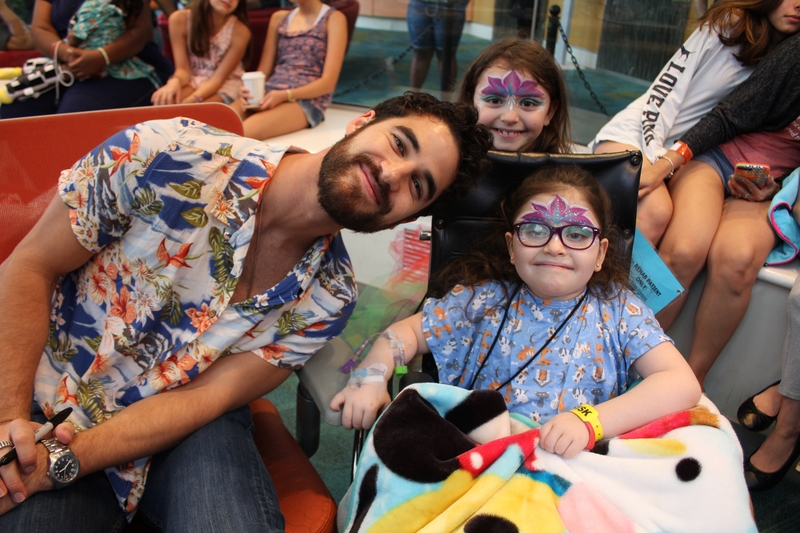 Patients at Children’s Healthcare of Atlanta loved having Darren in studio, and we hope he returns soon!